Our number one goal at DollarSprout is to help readers improve their financial lives, and we regularly partner with companies that share that same vision. Some of the links in this post may be from our partners. Here’s how we make money. 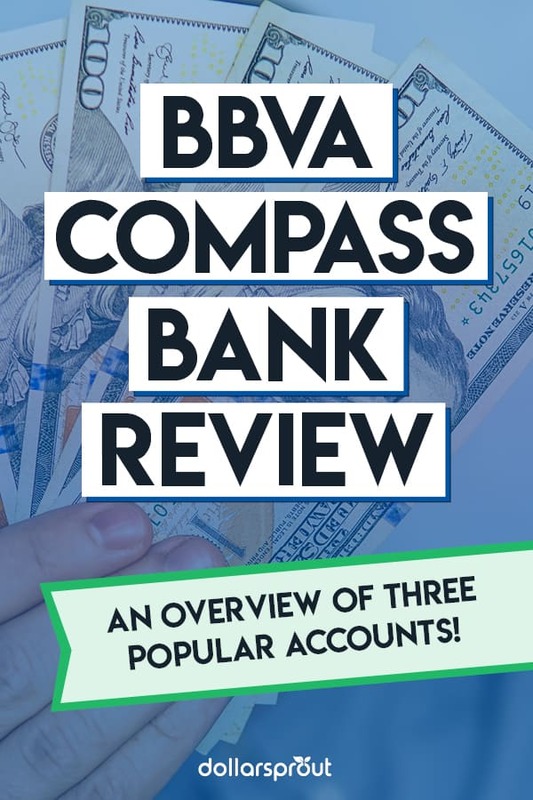 In this BBVA Compass review, we’ll discuss three of the bank’s most popular accounts: checking, savings, and certificates of deposit. BBVA Compass is a regional bank that operates more than 600 branches across seven states. The majority of the bank’s locations are in Texas, but it also operates in Alabama, Arizona, California, Colorado, Florida, and New Mexico. The bank’s accounts don’t do anything revolutionary, but they tend to offer solid, no-frills services. You won’t get the fanciest features or the highest rates, but your bank accounts will do what you need them to do. The accounts are also low-fee, so you won’t pay much for the privilege of banking with BBVA Compass. The Bottom Line: BBVA Compass Bank is a good choice for people who live in its service region if you’re looking for simple, low-fee accounts. If you’re the kind of person who wants to optimize and earn the best interest rates available, there are better alternatives. BBVA Compass offers three main checking accounts for customers to choose from. The Free Checking Account is exactly what it sounds like. There’s no monthly fee to keep the account open and you get free access to services like online banking and bill pay. The only requirement to open the account is a $25 minimum deposit. The ClearConnect Checking Account is an online-only version of the Free Checking Account. You get all of the same features, plus free withdrawals from any Allpoint ATM. In addition to the interest you can earn, you’ll also get two ATM fees refunded each statement and a personalized debit card. One thing that you should look into when opening any checking account is the overdraft fees that the account might charge. One of the biggest downsides of BBVA Compass’ checking accounts is their punishing overdraft fees. Each of the accounts charges a $38 overdraft fee ($32 if you live in California), with a maximum of 6 fees assessed each day. That means you could pay as much as $228 in overdraft fees in a single day. If you leave your account balance negative for ten consecutive days, you’ll be charged an additional $25 fee, putting you further into the hole. If you decide to open a BBVA Compass checking account, you should avoid signing up for overdraft services as even a small mistake could result in significant fees being charged to your account. By opting out of the overdraft service, your transactions will simply be declined if you do not have enough money in your account. BBVA Compass Bank offers two different savings accounts that you can use to store extra money and build a nest egg. The ClearChoice Savings Account is a no-frills savings account. You can set up automatic transfers into the account to help your savings grow over time, and you’ll earn some interest in the process. One thing to watch out for is the $15 quarterly fee. You can avoid this fee by setting up an automatic transfer of at least $25 per month from your checking account to your savings account or by maintaining a minimum daily collected balance of $500 or more. The ClearConnect Savings Account is an online-focused version of the ClearChoice Savings Account. All the features are the same, but the ClearConnect Savings Account does not carry a quarterly fee, making it a better choice. Both accounts have a $3 quarterly paper statement fee that can be avoided by signing up for electronic statements. They also both share a $25 minimum deposit requirement. BBVA Compass Bank’s Certificates of Deposit are designed to give you a long-term place to store money and help it grow. You can choose CDs with terms of 12, 15, 18, or 36 months, giving you the opportunity to get a CD with a term that fits your financial needs. All four terms require the same $500 minimum deposit. Unlike BBVA Compass’ other accounts, its CDs offer competitive interest rates. You can find better rates elsewhere, but the difference won’t be as large. All of BBVA Compass’ CDs are fee-free and they are eligible for up to $250,000 in FDIC insurance, meaning you’ll be protected in the event that the bank closes and you cannot recover your money. See Also: What is a Certificate of Deposit and When Should You Use One? While it’s important to know about the specific accounts offered by a bank, you want to get a look at the full picture before you commit to opening an account. One of the most important things to think about when you’re choosing a bank is the quality and availability of customer service. You might not think about it much, but your bank account is an integral part of your life. If you’re suddenly cut off from access to your money, you’ll have trouble buying groceries, paying bills, or handling any number of other essentials tasks. BBVA Compass is well known for its availability and customer service. Its relatively small number of branches means that you won’t be able to find a location to visit to get help as easily, but the bank has compensated by providing other methods of customer service. You can use the bank’s website or Twitter to get in touch with BBVA Compass customer service representatives. You can also call in by phone or schedule a time for the bank to call you to provide assistance. This regional bank operates more than 600 BBVA Compass branches across seven states. The majority of the bank’s BBVA Compass locations are in Texas, but it also operates in Alabama, Arizona, California, Colorado, Florida, and New Mexico. Search for BBVA Compass Locations near me. We’ve already covered the hefty overdraft fees that you might face if you sign up for overdraft services. Overdraft and monthly account fees are among the most common bank fees you’ll see, but it’s still good to keep in mind other fees that might be charged. Banking these days doesn’t have to be done inside a stodgy old building where you have to wait in line before speaking to a teller. Modern banks offer fully-featured online services that let you view your account balances, make deposits, and do everything that you need to do to manage your account. BBVA Compass has multiple accounts that are online-only or online-focused. To make sure those accounts offer the best experience possible, BBVA Compass has put effort into developing an easy-to-use, powerful app that you can install on both iOS and Android smartphones. You can also do your banking from a computer using the bank’s website. If you want to do something a little more complicated than setting up a transfer, having a full computer in front of you rather than just a smartphone might make it easier. BBVA falls short of other banks — especially online banks — when it comes to interest rates. The money you keep in your bank accounts should be working for you, but BBVA Compass’ accounts tend to pay poor rates. The only accounts that are really competitive are the money market accounts and the certificates of deposit. Current rates as of January 2019. Please see BBVA website for the most up-to-date information. If you want to get a better rate on your checking and savings balances, you should consider working with an online bank. When you open a bank account, you should think about more than just the account that you’re opening. Look at the other services that the bank offers. Can you get a loan if you need one? Are there any benefits for account holders who want to get a mortgage? Keeping all of your finances at one bank can make managing your money much easier, so it’s worth considering when comparing accounts. The good news for people interested in BBVA Compass is that the bank offers a full suite of personal banking services. You can get a BBVA Compass credit card, BBVA auto loan, student loan, personal loan, or mortgage through the bank. You can also work with the bank to manage your investments, helping you save for larger goals such as retirement. If you want to do all of your banking in one place, BBVA Compass isn’t a bad choice of bank. For more information, check out some BBVA Compass credit card reviews. BBVA Compass Bank is a possible choice for people who live near its network of branches. For the most part, it offers no-frills, low-fee accounts. The high overdraft fee is of some concern, but it can be avoided through careful management of your money. If you’re looking for better interest rates and potentially lower fees, consider working with an online bank. Online banks tend to offer the best rates and lowest fees due to their lower operating costs. TJ Porter has in-depth experience in reviewing financial products such as savings accounts, credit cards, and brokerages, writing how-tos, and answering financial questions. He has also contributed to publications and companies such as My Bank Tracker, CardCruncher, and Echo Fox. He aims to provide actionable advice that can help readers better their financial lives. In his spare time, TJ enjoys thinking up new ways to optimize my own finances, in addition to cooking, reading, playing games (of the board and video variety), soccer, ultimate frisbee, and hockey. Be sure to follow us on social media too! Personal Capital vs. Mint: Which Personal Finance App is Right for You? Saving money, it turns out, can be a challenge at first. But, that doesn’t mean it’s an impossible skill to learn. Once you learn how to save money, it gets addicting. Here are 74 money saving tips you can start using today. 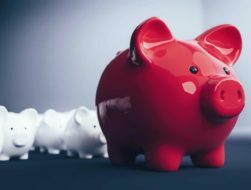 What is a Certificate of Deposit and When Should You Use One? We've wracked our brains and scoured the internet to find the BEST ways for you to make extra money. Some are easy, some are hard, but they ALL put more money in your pocket. Are you ready to start making extra money? !